What If? #19 (February 1980) features an Easter Egg presumably placed by penciler Pat Broderick or inker Mike Esposito. The office of the Hollywood mogul that Spider-Man visits on page 7 of the story has a bar that includes Old Ditko Whiskey in a nice nod to Spider-Man's co-creator Steve Ditko. 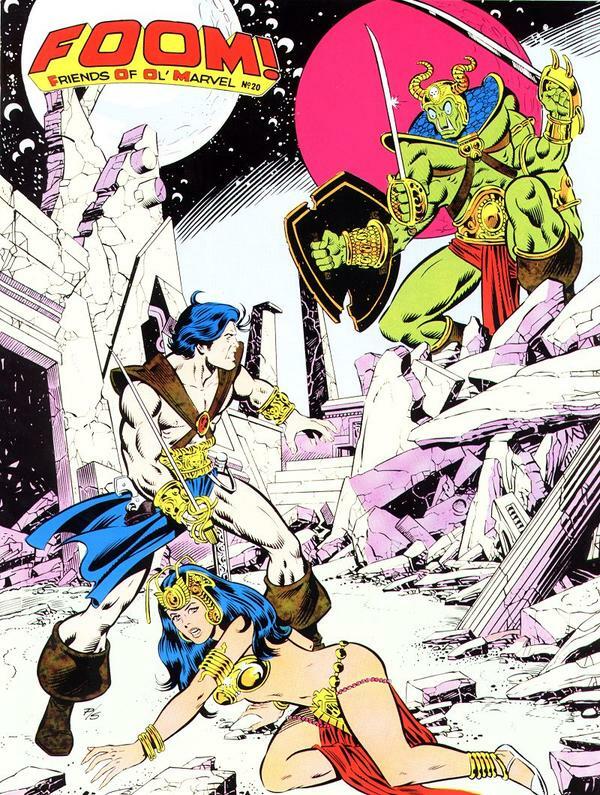 There's also a great painting of John Carter Warlord of Mars that looks to be inspired by George Perez and Joe Sinnott's incredible cover to Foom #20 (Winter 1978), but it's not exactly hidden. Click on the image below to see a larger and more legible version of the panel.